I was born and raised in North Western Pennsylvania. I attended Catholic grade school and high school. My interest in music began in grade school with piano lessons. I eventually taught myself to play many other instruments and took some guitar classes in college. I attended college in Oneonta, NY where I met my wife Kathy. 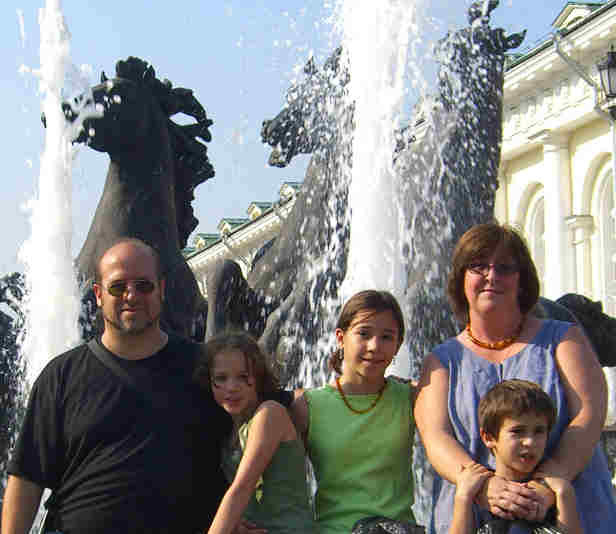 After college, we spent a few years in the Binghamton, NY area, but eventually moved back to Oneonta where we currently reside with our 3 children. I’ve always loved the sound of Native American Style Flutes. In March of 2006, I finally purchased one. It was a small flute made out of PVC pipe, but it was enough to pique my interest for more. This was the origin of my flute journey. I decided to apply my woodworking skills and make my own wooden flutes. After a little bit of online research, mostly at the yahoo group Native Flute Woodworking, I made my first flute. It turned out well, so I kept making them. By the end of 2008, I had made more than a hundred. My philosophy is simple. Produce quality flutes for reasonable prices. At the same time, I hope to return thanks to the Creator and the flute community through education and increasing interest in our beloved flutes. If you have been reading along, you know that making flutes is a passion for me. 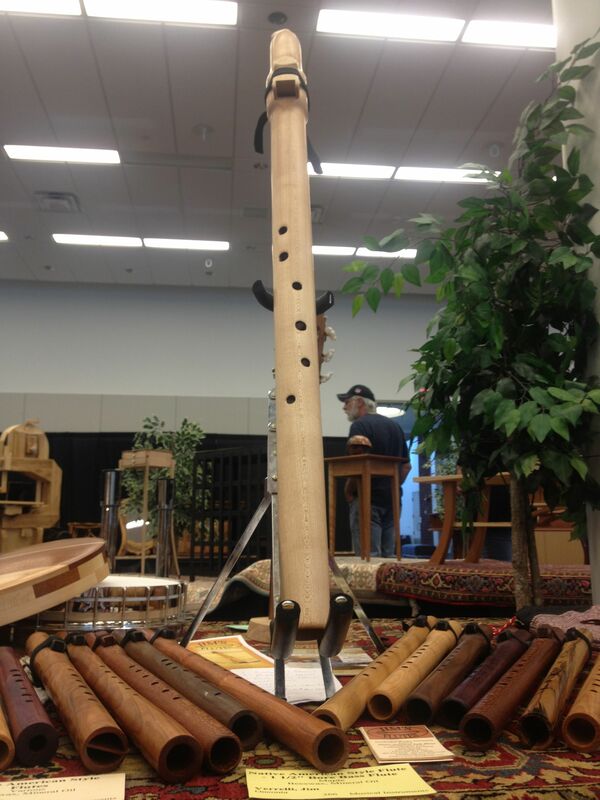 It allows me to meld together my interests in woodworking and music and provides an outlet for my creative expression both in making and playing these flutes. I cannot even begin to convey the feeling I had when I heard the first sounds sing from that first flute I made. I started with a piece of oak and after careful measurement and carving it came to life in my hands. I am proud of and stand behind my work. I am committed to creating flutes that will provide years of enjoyment. 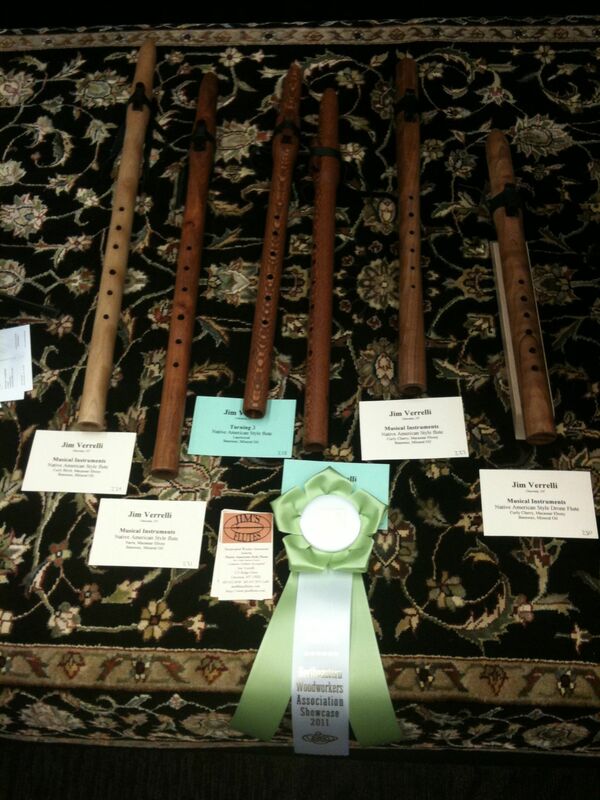 My flutes are warranted for the life of the flute maker (that’s me). If you ever have a problem, let me know. 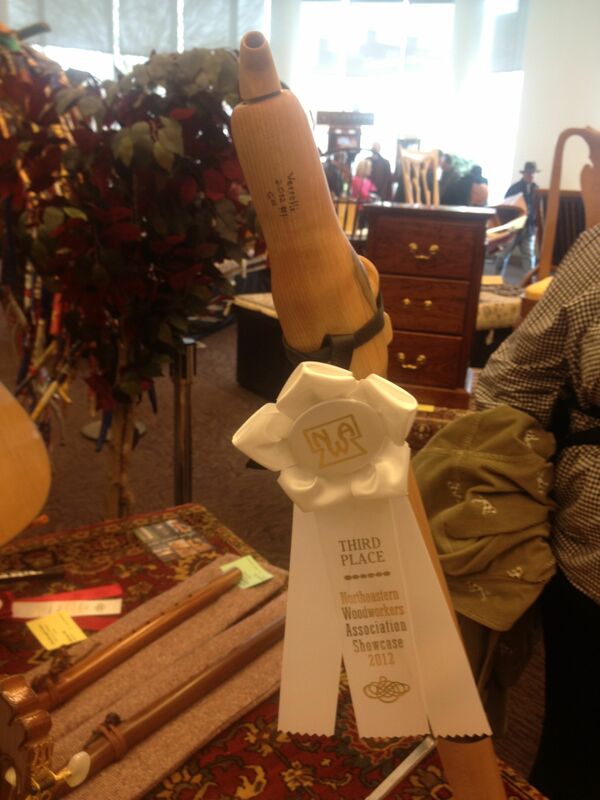 October, 2007 Wightmans Specialty Woods Woodworking Competition, First Place Miscellaneous Category for a beautiful Curly Cherry Flute. October, 2008 Wightmans Specialty Woods Woodworking Competition, First Place Miscellaneous Category for a uniquely designed Curly Cherry drone flute (Both the main flute and the drone are in the same barrel separated by a thin piece of wood that extends the length of the flute). 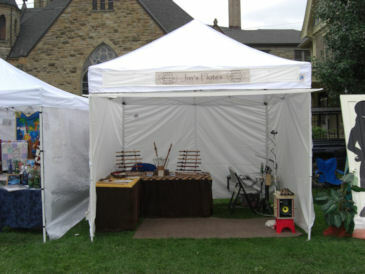 March, 2011 Northeast Woodworkers Showcase, Honorable Mention in the Musical Instruments category for a Lacewood Flute. 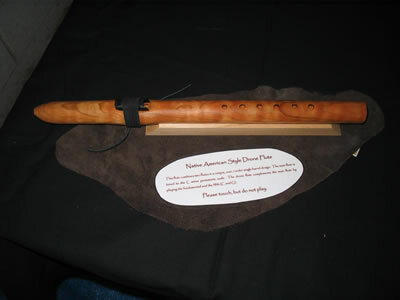 March, 2012 Northeast Woodworkers Showcase, Third Place in the Musical Instruments category for a 1 1/2 inch bore Maple Flute. Copyright 2009-2017 Jim Verrelli, All rights reserved.